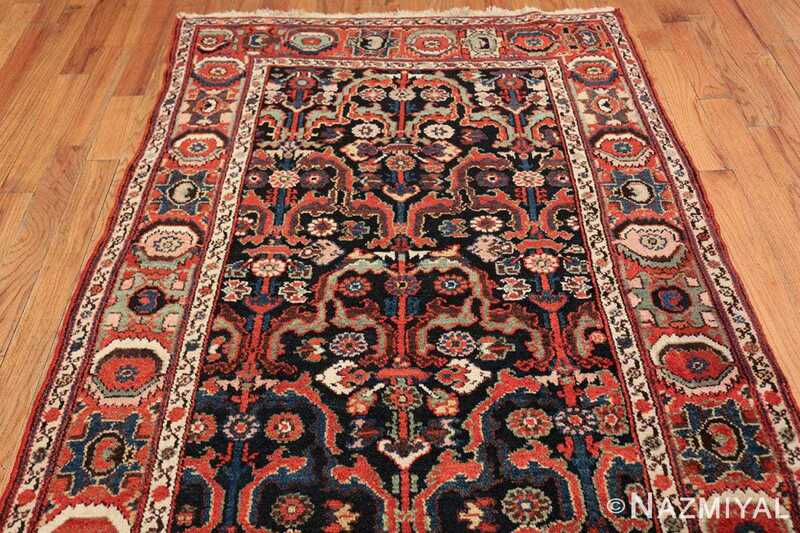 Beautiful Jewel Tone Tribal Antique Persian Bakhtiari Runner Rug, Country of Origin / Rug Type: Persian Rug, Circa Date: 1920 – This spectacular antique Persian carpet is a magnificent example in pretty much every way. 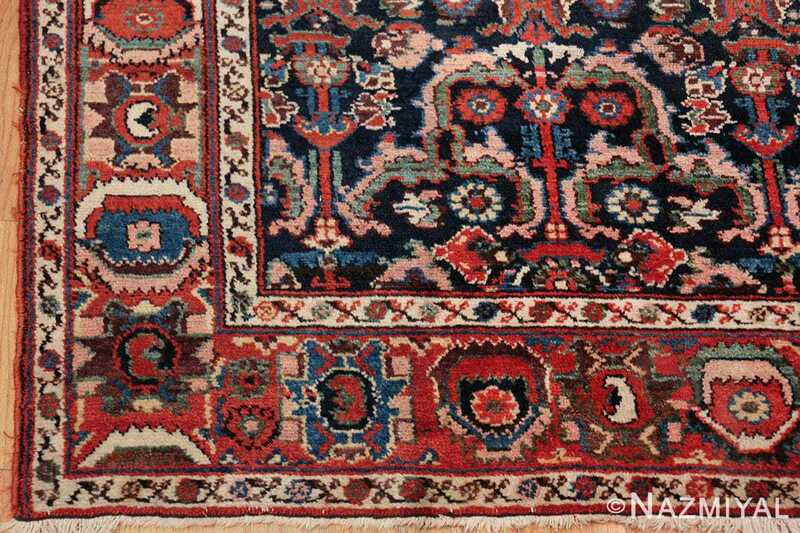 A deep, rich and ancient quality is created by the rich jewel tone colors and fierce tribal patterns featured in this magnificent Persian Bakhtiari rug. 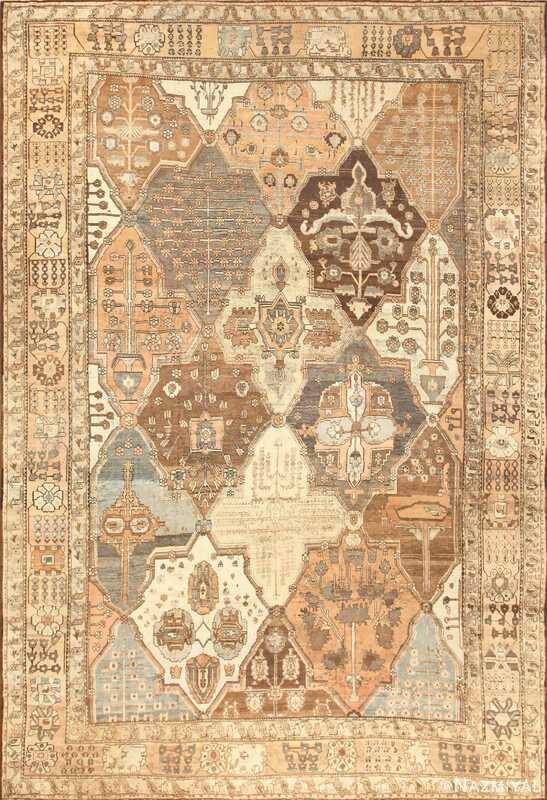 This astonishing runner rug combines a raw feel savage beauty with sophisticated symmetry in a mysterious and deeply mind-probing way. 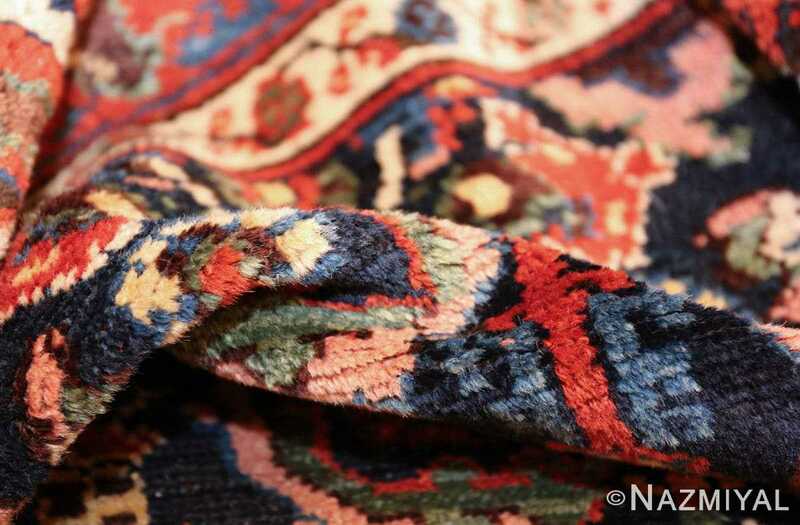 The vivid rusty red coloration is one of the most visually gripping element of the entire runner rug. 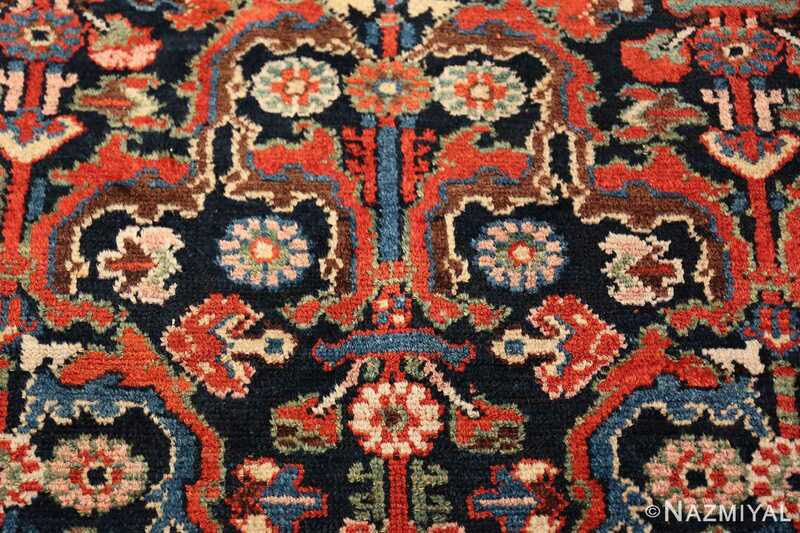 The striking tribal design patterns and color additions of white, lighter blue, and soft green work in unison with this deeper red hue to render an intense impression of tribal splendor and royal grandeur. 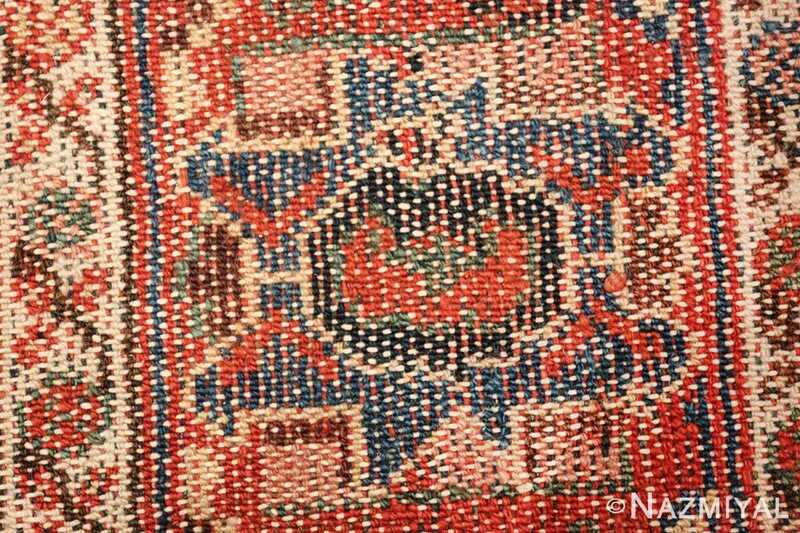 Along the center of the field of this remarkable antique Oriental rug are mysterious face like patterns, each uniform in design approach. The eyes of each of these “faces” are created by two equidistant identical flowers. 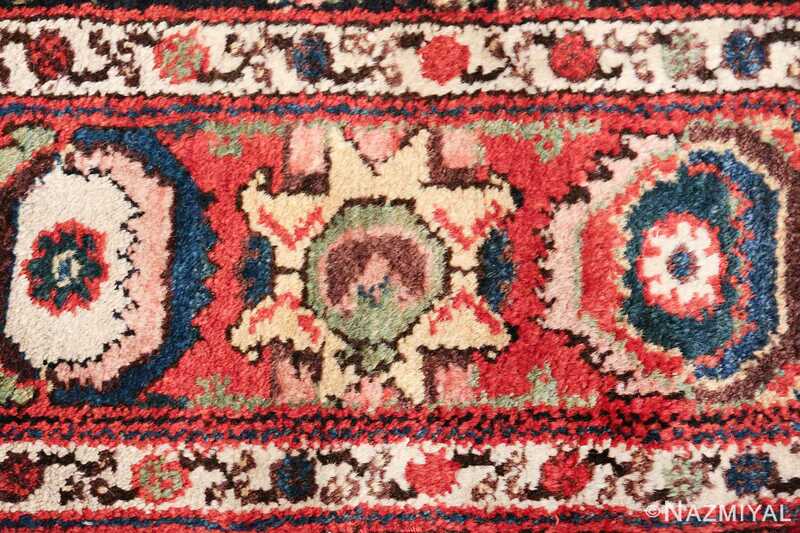 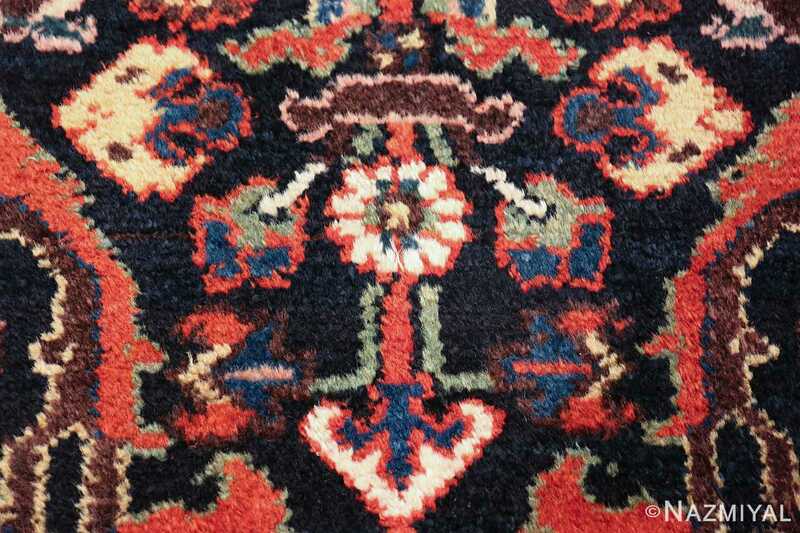 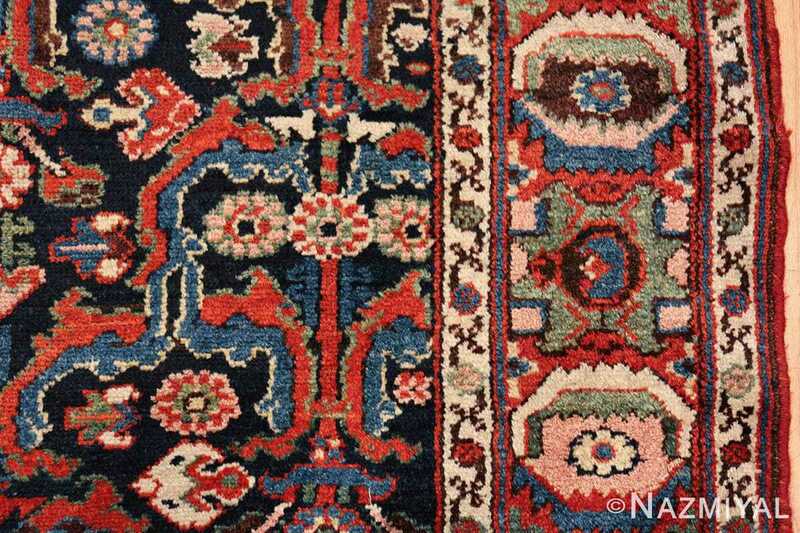 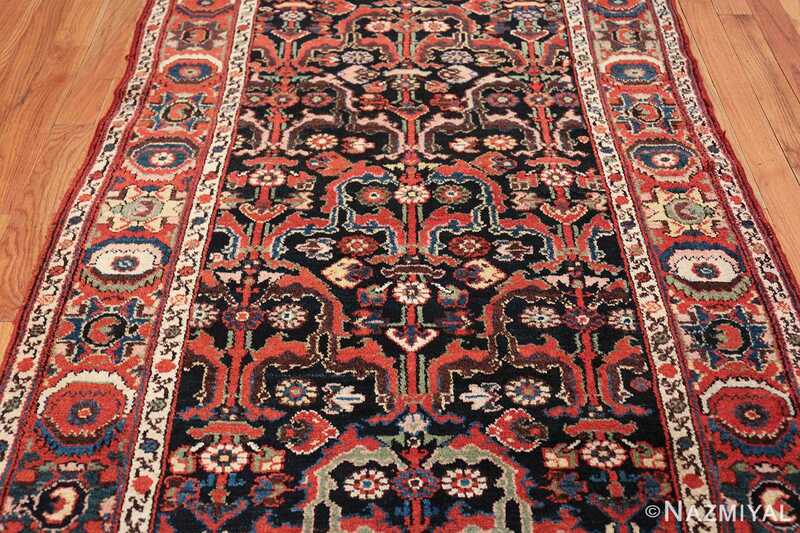 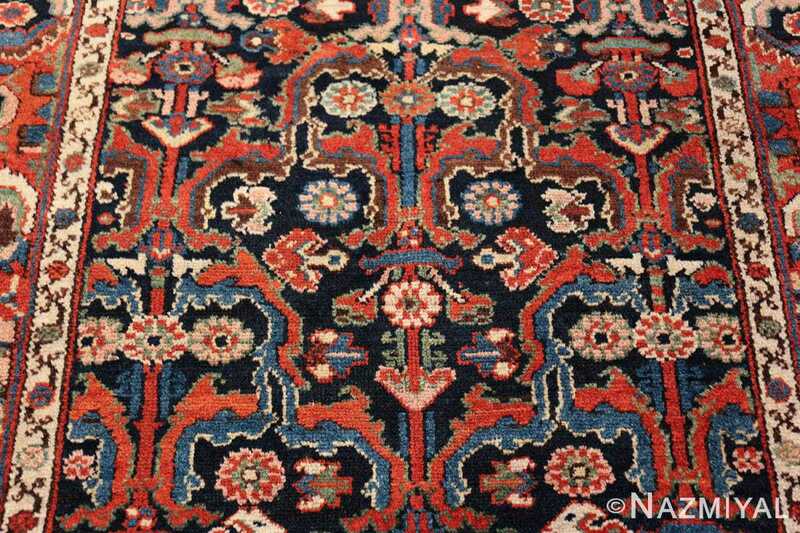 These abstract approaches to the design is part of what make this antique carpet such a beautiful work of folk art. 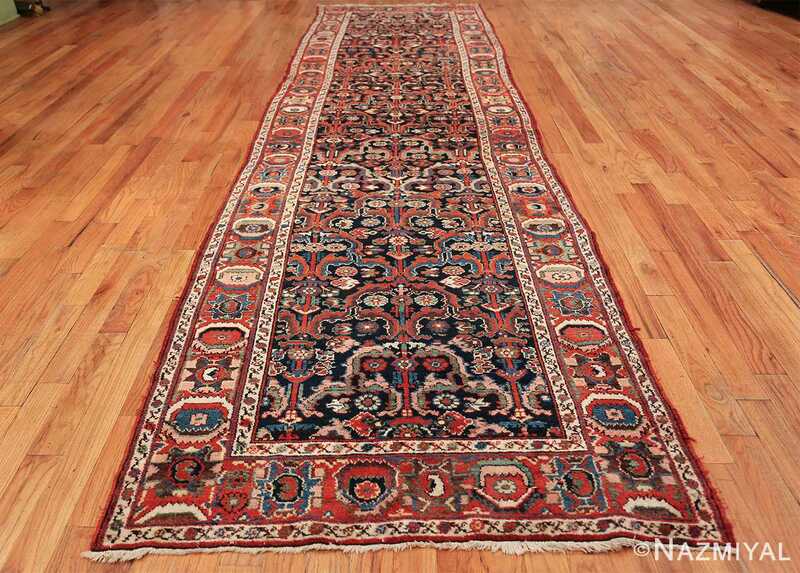 This magnificent jewel tone colored tribal antique Persian Bakhtiari runner rug is a beautiful artifact that is both fiercely riveting and beautifully satisfying. 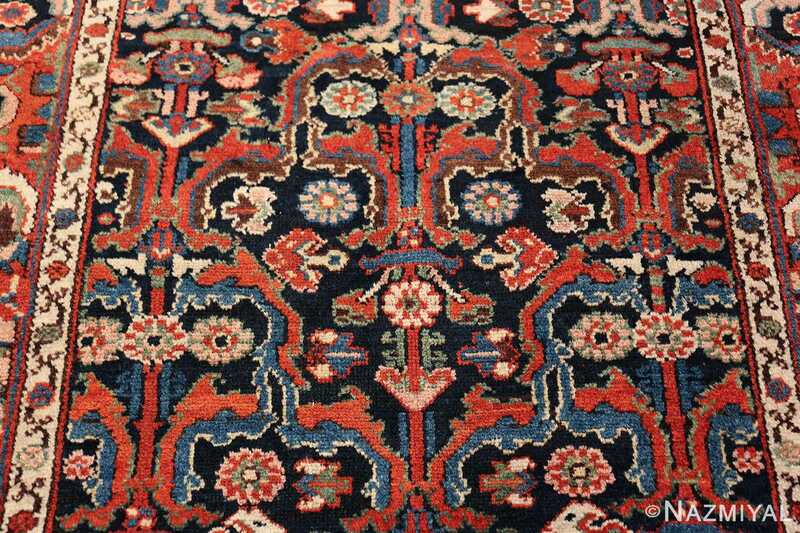 This beautiful Persian Bakhtiari will surly add a poignant tribal and somewhat casual charm to any space it occupies.